Gracious Wild is the story of Stacey L. L. Couch’s incredible journey out of the mundane world of science and reason into the vast shamanic realms of creativity and inspiration. Readers travel on an intimate exploration of what happens when one woman allows the messengers of nature to guide her. When wildlife biologist Stacey Couch undertakes a full-time role working and living alone on an island to care for endangered foxes in a captive breeding program, she has no idea that she will be forced to realize her own vulnerability. The isolation is an accidental vision quest that spurs a dramatic life change. Her guides in this process are a series of hawks. For those of you wondering what birds of prey have to say to us, Gracious Wild is a powerful window into their world. These winged guides wrap your mind up in the mysteries they present, leading to a richer, more fulfilling life. On many of her treks on the lonely island, Stacey finds herself accompanied by a stunning Northern Harrier Hawk. It isn’t long before she discovers that the companion of her walks is nesting in view of her cabin. The visitations seem more than an accident as Stacey meets a host of hawks that fly across miles of ocean to take up residence next door. This is the first ever recording of harrier hawks nesting on the island. They seem to speak to her, to mirror her, to expand her in some way, to crack open the door between the life she was living and a spiritual gateway that she is only beginning to sense. The hawks help Stacey cultivate her own gift for finding grace in the everyday. Gracious Wild follows Stacey as she moves back to the mainland still soul lost and questioning. She volunteers at the Willow Brook Wildlife Rehab Center while figuring out what to do with her life. Serendipitously, Stacey is charged with the care of an injured Northern Harrier Hawk –the same species of hawk she’d known on the island. 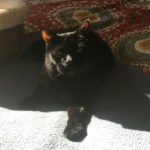 This elegant creature, named Thalia, becomes Stacey’s first teacher. Simultaneous to her volunteer work, Stacey begins consulting a gifted shamanic counselor, who introduces her to the shamanic journey trance. 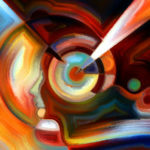 Stacey’s new experiences in journey trance bring answers and guidance that have correlations in the visible world. The relationship between the hawk and the woman, Stacey’s growing ability to find answers to her soul’s questions in shamanic trance, and Stacey’s immersion in the natural and shamanic world began to create healing, expansion and a new found sense of joy. And once Thalia leaves the three-dimensional world behind, she becomes a powerful guide for Stacey in the shamanic world. But Thalia was only the first of Stacey’s treasured feathered companions in Gracious Wild. Couch’s powerful story continues with the arrival of Graccia, a gorgeous Red-Tailed Hawk, also in need of love and healing. Graccia charms everyone from the start with her endless curiosity and carefree spirit. Stacey trains the red-tail how to work with people and Graccia, using love as the catalyst, shows her how to share the extraordinary. Together, they are able to forage friendships and open hearts. 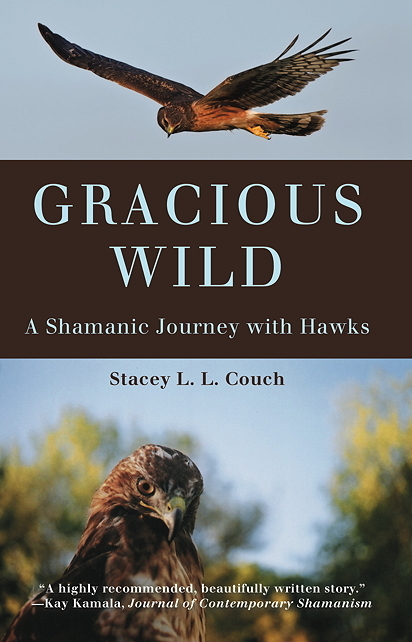 Gracious Wild weaves Stacey’s relationship with the hawks alongside her study of shamanism with a good deal of information included for those seeking more details about this spiritual path. Gracious Wild teaches by example. It is one of those true healing stories that takes you out of the rational “how to” trap of the mind and into an instinctual experience that pervades all layers of being: body, mind, heart and soul. In reading this story you will discover a new perspective on an old way, allowing you to dream your path to enlightenment.